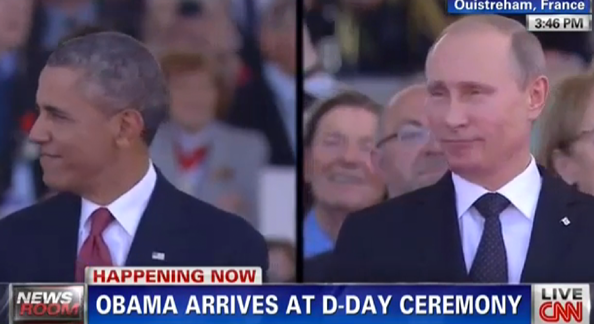 CNN correspondent Christiane Amanpour was confused by a split screen showing President Barack Obama and Russian President Vladimir Putin — thinking the two men were standing next to each other at an event marking the anniversary of D-Day. “No, that’s a split screen, Christiane, it’s a split screen,” anchor Carol Costello said back in the CNN studio. Watch the full video clip of the exchange at Mediaite.